Simply put, Chabad's mission is to reach out to others with acts of goodness and kindness. We're a community-based nonprofit organization whose efforts are rooted in traditional Jewish values — and many of our programs help the needy regardless of background or belief. We aim to serve the religious and social needs of the Jewish community of El Paso and the Jewish population of Southwest Texas. We are a warm and strong-knit community. With our policy of accepting all Jews regardless of affiliation and religious background, we welcome all Jews to join and partake in all of our activities. Chabad came to El Paso in 1986 and is part of the largest Jewish organization in the world, with 35 centers in Illinois and over 4,600 branches spanning the globe running a network of educational and nonsectarian social services operating Community Centers, Synagogues, Hebrew Schools, Day Schools, Pre-Schools, Campus Centers, Summer Camps, Friendship Circles - for families of children with special needs, Soup Kitchens, Drug Rehabilitation Programs, and the list goes on. Chabad embraces a philosophy of study, meditation, and social outreach that combines rigorous academics with proactive community involvement. Our rapidly growing array of educational and social services programs has made us one of the most dynamic forces in modern Jewish life. Thanks to our generous supporters, we have been able to educate, comfort, and give hope to countless people in need. "ChaBaD" is a Hebrew acronym for "Wisdom, Understanding and Knowledge," and Lubavitch is the town in White Russia where the movement was based for more than a century. (The word "Lubavitch" actually means 'brotherly love," which is emblematic of the love and dedication that characterizes Chabad Lubavitch and its representatives.) Founded in 1772 by Rabbi Schneur Zalman of Liadi, Chabad promotes the mystical, traditional, legal and social principles of the Torah — while using modern methods and technology for education, community outreach, youth programs, crisis intervention, and other social services. Chabad has consistently been at the forefront of Jewish education and community activism. The work of Rabbi Menachem Mendel Schneerson, the Lubavitcher Rebbe of blessed memory, who assumed leadership of the movement in 1950, is legendary. Motivated by a profound love for humanity and spurred by boundless optimism, the Rebbe lifted the global Jewish community from the ashes of the Holocaust and launched an unprecedented range of Jewish institutions, outreach programs and social services. Around the globe, more than 4,600 of the Rebbe's emissaries and a workforce of over 20,000 continue his mission to create a worl d of goodness, kindness and G‑dliness. We invite you to learn more about Chabad, and welcome your support of our charitable efforts. Synagogue - Our Synagogue is located at 6615 Westwind Drive. Services are conducted in a warm and friendly atmosphere. Our prayer books are in Hebrew and English and easy to follow along. Services are free of charge. 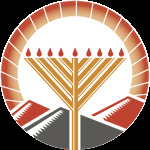 Mikvah - Since 1988, Mikvah Chaya Mishka has served the El Paso Jewish community and the surounding area. With its state of the art facility and beautiful decor it is an experience of comfort and spirituality. Adult Education - To learn is to live. At Chabad we offer a variety of classes in Judaism as well as private study sessions. Chabad Hebrew School - Children are the future. At Chabad we instill the children with a pride and love for Judaism to last them a life time. Holiday Programs - Holidays are a time to celebrate our heritage and history. We offer engaging and informative programs geared to children and adults alike in honor of all the Jewish holidays. Publications - Chabad publishes a Jewish Yearly Calendar - the only one of its kind - servicing the local Jewish community. Five times a year The Chabad Times is published in honor of the Jewish festivals. E-Torah is a weekly email complete with Shabbat candlelighting times, upcoming events and thought provoking article on the Parsha of the week. Social Services - There are those in need of a friendly visit and a smile to brighten their day. If you know of a fellow Jew in the hospital, old age home or prison that may need an extra show of support let us know and our volunteers will pay them a visit. Chabad is a home for every Jew.